Asian beauty is define by the fairness of skin, don't you agree? Unfortunately I was born with tan skin, plus too much exposure to the sun in my teenage years, caused my skin to tan and dull easily. All this I’ve been searching for whitening products that could make my skin fairer. 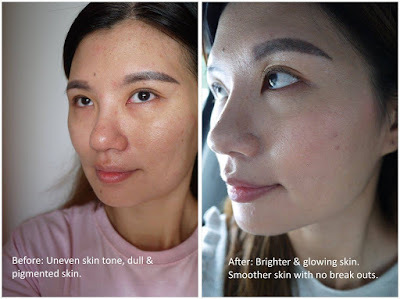 I have tried various ways to brighten my skin, including using whitening skin care, undergo laser treatments and many more. Recently, I found an effective yet affordable way. The Hakubi White C Series that is finally arrived at our shore, hurray. 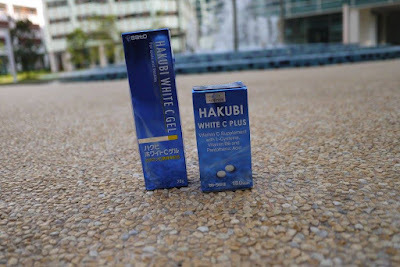 As a Japanese skincare lover, I have been reading many great reviews on Hakubi White C Plus and Hakubi White C Gel ( the products that is made in Japan.) Hakubi White C Series has a blue and white packaging, not fancy but what is more important is the products are practical and effective. I started consuming Hakubi White C Plus last month. It is a vitamin C supplement with high content of L-Cysteine, Vitamin B6 and Panthothenic Acid for skin whitening enhancement and skin re-generation. 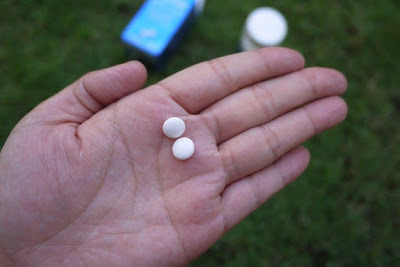 I take 2 tablets 3 times daily after meal. After just a week, I noticed that my skin is fairer and glowing. 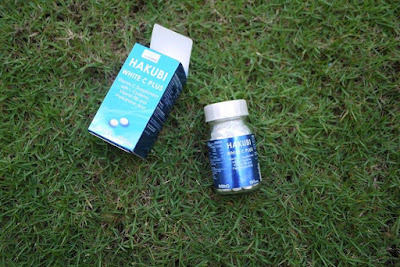 A bottle of Hakubi White C Plus has 180 tablets that is enough for a month's consumption. It contains active ingredients (per 6 tablets): L-Cysteine 240mg, Ascorbic Acid 600mg, Vitamin B6 6mg, Calcium Pantothenate 24mg. 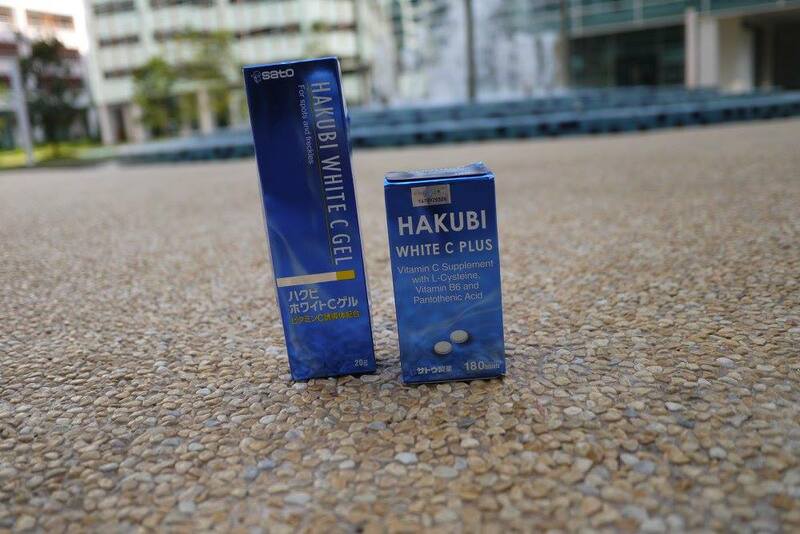 Hakubi White C Plus 180's is priced at RM 122.85 (GST Inclusive). 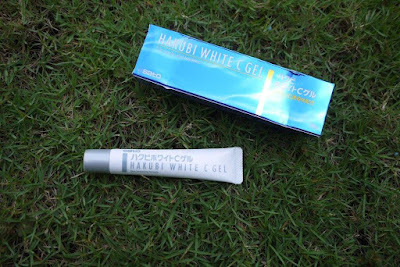 I am also applying Hakubi White C Gel on my skin every morning and evening. The Hakubi White C Gel contains Magnesium Ascorbyl Phosphate, which is a concentrated Vitamin C derivative that is easily absorbed into the skin, to help prevent spots and freckles caused by sunburn. The gel is transparent, scent free and very fluid hence it is easy to apply on skin. When it has fully absorbed into my skin and dries up, it forms a film on my skin. 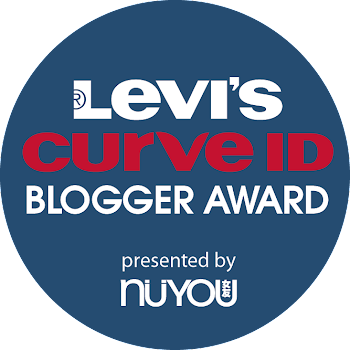 My skin felt smoother, tighter and firmer. 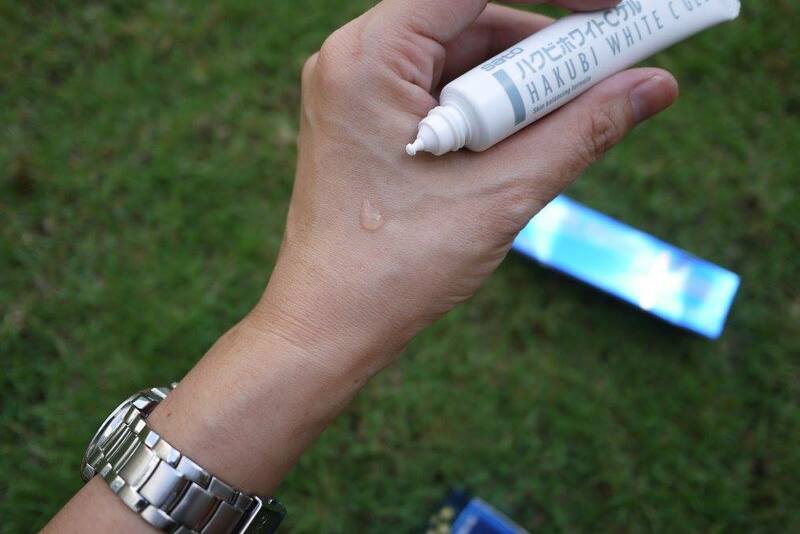 I can apply makeup immediately after applying the Hakubi White C Gel. 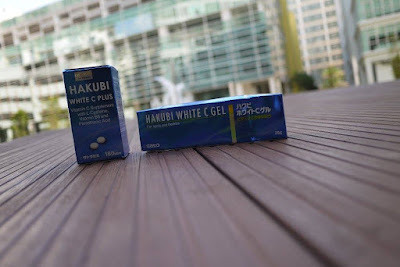 Hakubi White C Gel is mild to my skin, I did not suffer any skin irritation after applying it. What's more? According to Hakubi, Hakubi White C Gel can also be used to spot-treat pimples and acne. Sounds wonderful, isn't it? Hakubi White C Gel contains Active Ingredients: Water, Magnesium Ascorbyl Phosphate, Disodium EDTA, Panthenol, Potassium Hydroxide, Hydroxypropyl Methylcellulose Stearoxy Ether, Sodium Citrate, Citric Acid, Xanthan Gum, Dipotassium Glycyrrhizate, Methylparaben, Flavouring, Sodium Hyaluronate, Propylparaben. Hakubi White C Gel 20g is retails at RM 97.41(GST Inclusive). After consuming Hakubi White C Plus and applying Hakubi White C Gel for a month now, my freckles has reduced, and the pigmentation has lighten. As you can see from the picture, Hakubi White C range has transform my dull skin to glowing skin! It’s not flawless but I am really happy with the result. Finally, a lasting fairness from inside out is possible on me. Even my photographer friend has compliment my fair skin lately, I am really delighted. Both Hakubi White C Plus and Hakubi White C Gel are available at all Sasa outlets and selected Watsons outlets throughout Malaysia. I'm never tried any product from Japan yet. Maybe next time I can try which is good product. This is quite interesting! I really wanna give it a try soon especially the Hakubi White C Plus. Nama produk pun dah comel. Hehehe. I pun nak cerahkan kulit i yang sering kena sunburn.